The state irrigation department today said it would launch a crackdown on illegal mining in rivers in Jalpaiguri, Alipurduar and Darjeeling districts from tomorrow with the help of police and other wings of the government. The move, sources said, follows a directive issued by D. Sengupta, a joint secretary in the irrigation department, on July 4. "Since March, mining activities in the rivers, like digging of beds and collection of sand, stones and pebbles, are not being permitted following orders from the National Green Tribunal. However, there are several instances of illegal mining by a section of contractors in the rivers in north Bengal," an official in the office of the chief engineer (northeast), irrigation department, Jalpaiguri, said today. 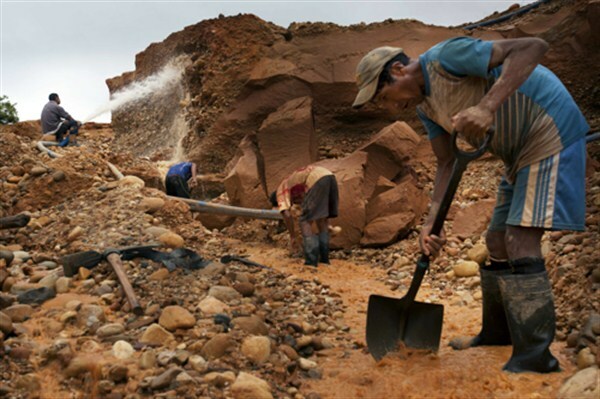 "Because of lack of infrastructure and manpower at our end, mining could not be stopped completely. However, as the issue come to the notice of the chief minister, a directive has reached us from Calcutta, mentioning that we should launch a drive immediately, along with police, administration and departments like land and land reforms, to stop the practice. It has been decided that we will launch the drive in Jalpaiguri tomorrow," the official added. Irrigation department officials in Alipurduar and Darjeeling districts confirmed that the crackdown would begin in the two districts tomorrow. 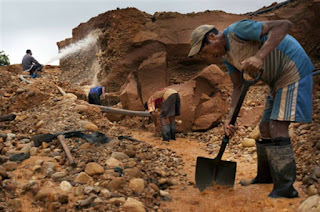 In Darjeeling, Jalpaiguri and Alipurduar districts, illegal mining has been going on in the Teesta, Mahananda, Torsha, Jaldhaka, Leesh, Ghish, Chel, Raidak, Birbiti, Diana and Sankosh rivers. The state irrigation department today said it would launch a crackdown on illegal mining in rivers in Jalpaiguri, Alipurduar and Darjeeling districts from tomorrow with the help of police and other wings of the government. The move, sources said, follows a directive issued by D. Sengupta, a joint secretary in the irrigation department, on July 4.